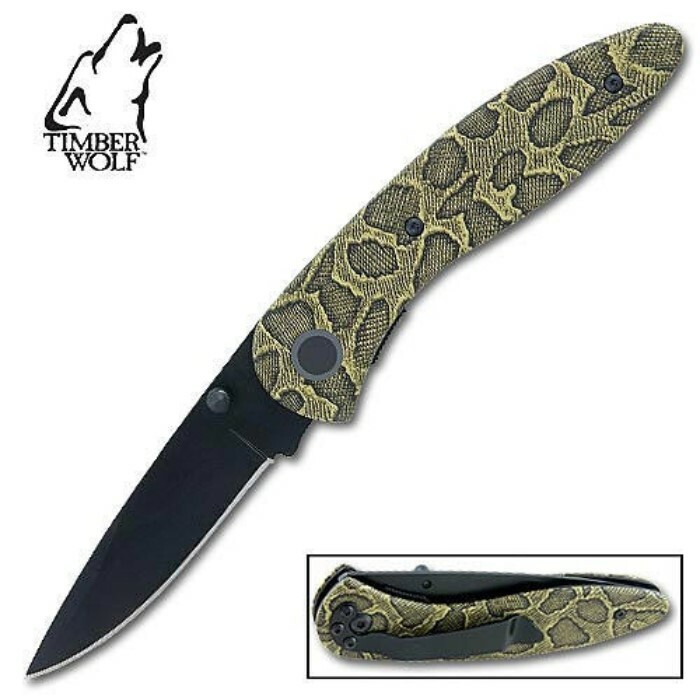 Timber Wolf Jungle Viper Folding Knife | BUDK.com - Knives & Swords At The Lowest Prices! This quick opening folder deploys its blade at viper striking speed! This knife features a black finished stainless steel 3 1/2" drop point blade with a reversible thumb stud. The aluminum handle offers a slick snakeskin design that provides an excellent grip. This folder also includes a liner lock and handy pocket clip. Very well made and came really sharp. Has good weight as well.